How to Create a Frighteningly Fun Haunted House For Kids - Boo Halloween boo! From the time kids are very little, Halloween traditions are incorporated into family life just like Santa Claus and the Easter Bunny. Kids quickly learn to look forward to October 31st, with excited anticipation, for a night filled with jack-o-lanterns, scary Halloween decorations, and trick-or-treating. 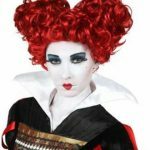 All of the spooky elements associated with Halloween like witches, ghosts and goblins, spiders, bats and creepy monsters add to the fun of this fall celebration. Toddlers do not truly understand the concept of Halloween but are exposed to the cute and fun elements of this holiday by their parents. 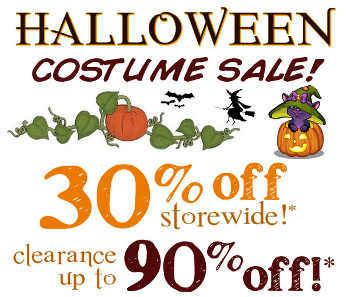 Typically beginning around ages 6 or 7 kids begin to develop an attraction to the scary side of Halloween. Little boys who were once thrilled to be a cowboy or super hero now want blood-stained, creepy costumes like zombies, terrifying aliens, spooks with ghoulish faces, or sinister characters from famous horror movies. Many boys and girls alike, all the way up to and including adults, love the scariness of Halloween, and the creepier the better!. So what is the best way to give your kids an eerie, frighteningly fun, and unforgettable Halloween? By creating a spooky haunted house. The first thing you need to consider when planning a haunted house for kids is who will be visiting the haunted house and the target age of the kids. Do you want the haunted house to be open to family and your children’s close friends only or will it be open to others (like your neighbors) as part of a trick-or-treating event or Halloween party? Props, atmosphere and scare tactics should all be dependent upon the age of the children you expect to visit your haunted house. A haunted house filled with spine chilling, heart stopping, gory props may be great for teens and adults but will probably be too intense for younger children. Some careful thought and planning should be done based on the age of the kids. There are many different options for where you can host a DIY (Do-It-Yourself) haunted house for kids. Based on your intentions for the size and scope of your haunted house, and of course your budget, you can transform your backyard, garage, cellar, attic or entire house into a spooky haunted mansion. Just remember, if you plan to host a haunted house for kids in the neighborhood or community, many parents will most likely not be comfortable letting their child enter someone’s home unless they know you extremely well. So the yard or garage may be better in that type of situation. An outdoor haunted house may be a bit more time-consuming and costly as you may need to build sets, create lighting and run electricity. An indoor haunted house can provide more opportunity to easily plug things in, hang decorations and create a spooky ambiance. Your decorations, props and lighting will be the backbone of your haunted house and will set the tone for how spooky or scary it is. Decide if you want your haunted house to have a theme like a mad scientist’s laboratory or a witches lair, for example, or maybe you just want to create a truly frightening house of horror. Some really amazing and terrifyingly fun Halloween decorations and props, like animatronics (with motion or infrared sensors) that move, light up and make eerie sounds can be purchased from department stores, craft stores and specialty seasonal stores around Halloween time. These types of props are sure to scare the pants off your guests but this can also be an extremely expensive endeavor. If you take the time to shop around, you can find some really creative decorations for your haunted house at dollar stores, thrift stores and second-hand shops. 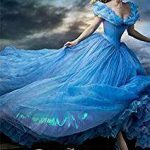 You can also find loads of ideas on line (a great place to check out really creative ideas is Pinterest) for do-it-yourself haunted house decorations. – A graveyard is always a winner at Halloween time. 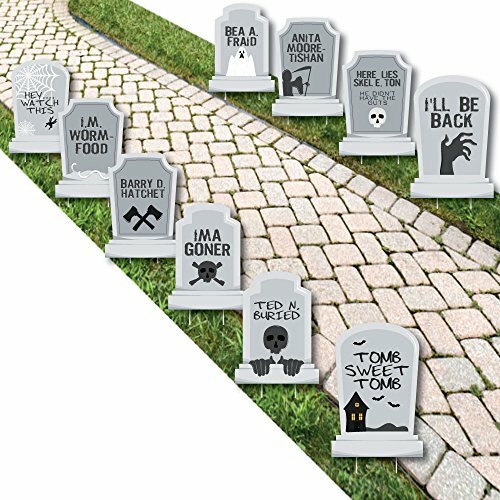 Tombstones can be made from cardboard or Styrofoam and painted gray with creepy phrases hand painted on them. Spider webs and skeletons or skulls add a spooky touch and body parts (like a bloody arm or rubber hand) can be positioned to look like it is reaching out from the grave. Try to give your graveyard a neglected look, such as leaves strewn around or overgrown grass, and use black gothic style border fencing, if possible. Illuminating your graveyard with low, indirect lighting will add to the creep factor. A graveyard can serve as the entrance into the haunted house that your guests will have to walk through or pass or you can create a small graveyard right inside your haunted house. 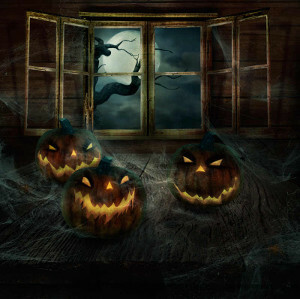 – Your haunted house should be dimly lit to create a spooky atmosphere. If indoors, dark material or even large black trash bags can be used to cover windows and doorways. A well lit haunted house will diminish the spook factor since most of the thrill of walking through a haunted house is not knowing what’s ahead or what to expect next! Black lights, candles and lighted jack-o-lanterns are good ways to light the way for your guests (or should we say your victims!). Carve creepy, scary faces into pumpkins and place them throughout your haunted house. Battery operated candles are a safer alternative to lighting actual candles. A phosphorescent powder can also be used on hand painted pumpkins or other decorations for an eerie glowing effect when a black light is used. Fog machines and dry ice are also perfect additions to a haunted house. – Hand paint signs with creepy lettering and scare phrases like “Beware”, “Stay Out”, Enter If You Dare”, etc. and hang throughout. Boards haphazardly tacked up across a doorway with fake hands sticking out (which can easily be found on Amazons) will give the appearance that there are bodies hidden in the darkness trying to get out. – Be creative and plan for some ghostly encounters. 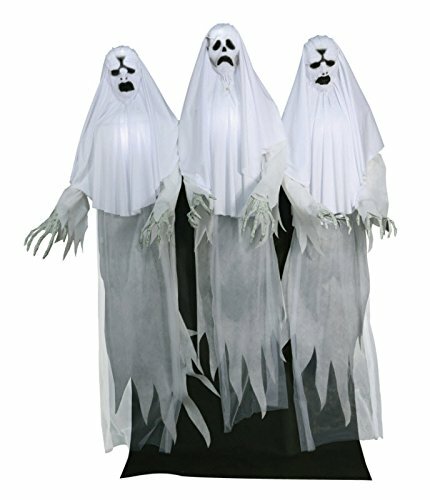 White material (like gauze) or sheets (preferably with jagged edges) can be draped over something to look like a ghostly figure. Liquid fabric starch can be used to make your ghosts if you’re really creative. Add lights underneath the material to illuminate your ghost for an eerie effect. If you have volunteers to help you run your haunted house, have them dress up in scary costumes and make-up (like Frankenstein, a creepy witch or a bloody zombie) and have them randomly pop out from a dark corner or from under a table. You are sure to hear some high pitched screams from your visitors. 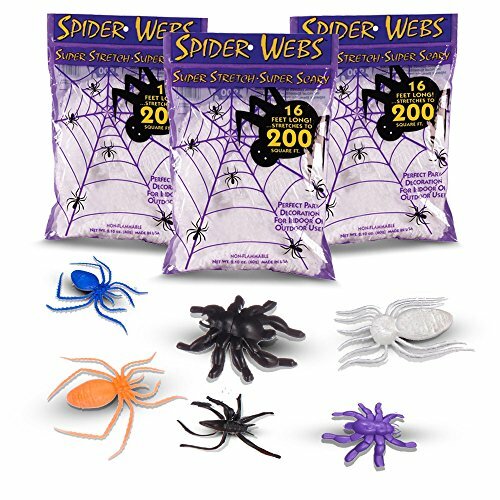 – Hang lots of spider webs across doorways and dangling from the ceiling at the perfect height to brush across your visitors face, especially in a dark area where they are not expecting it. Hang spiders or bats randomly throughout for the same type effect. Fake bugs, like roaches, are perfect in areas where your visitors will be touching something, such as a door handle. 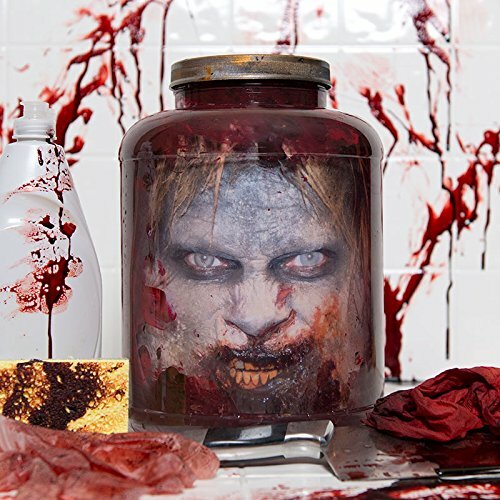 – Jars filled with eyeballs, fake fingers, brains, etc., along with a clear liquid, is the perfect touch for a mad scientist’s laboratory. Younger children will be totally grossed out if they can stick their hands inside containers filled with slimy foods so they can guess what body parts they are (like eyeballs, intestines or brains). Give yourself enough time to plan a great haunted house for kids, be creative and, most importantly, have fun. 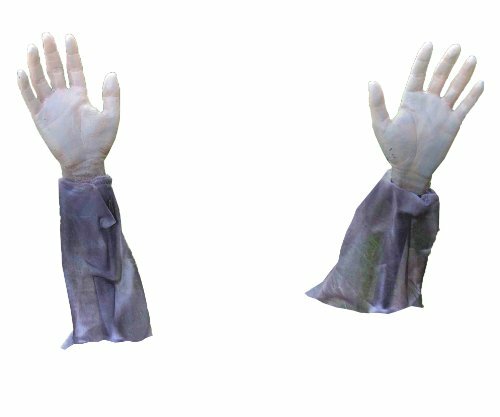 The opportunities are literally endless for the gross, creepy, and spooky props you can use to scare the pants off the kids who will dare to enter your haunted house!